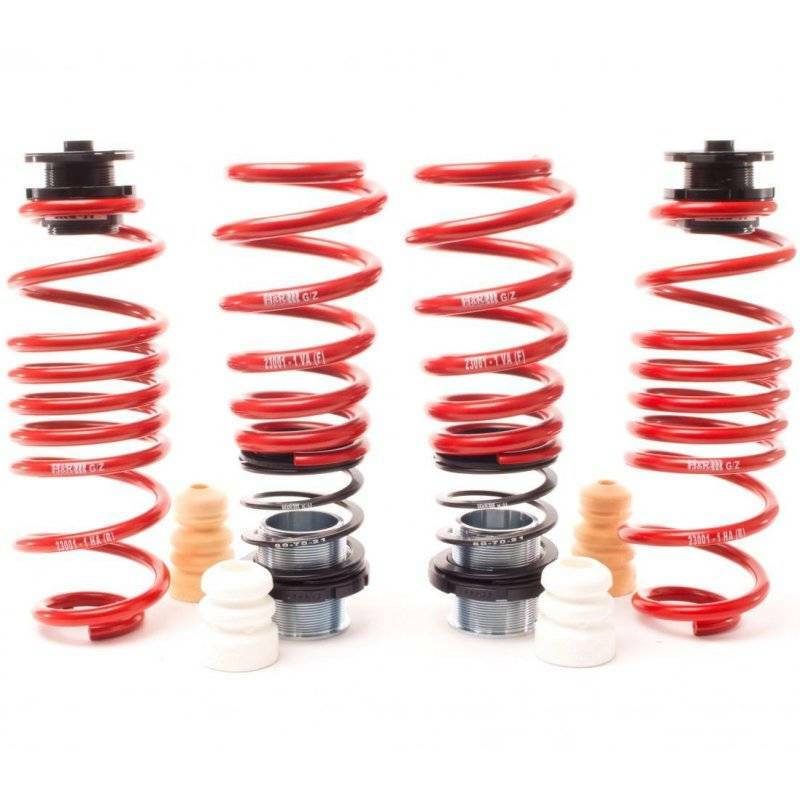 H&R VTF height adjustable packages feature progressive rate springs that are properly matched to the application. These springs are then coupled with height adjustable perches to allow for fine tuning of the ride height. The VTF package lowers cars with magride suspension a range of ~7mm to ~30mm and cars without magride suspension ~20mm to ~40mm. They are a great fit for owners who have magride dampers that want to retain that on the fly factory adjustability and also have the flexibility to set the height exactly where desired.